Is it Really Possible to Stay Sober Forever? Wondering if you can stay sober for the rest of your life is a normal question when you’re in early recovery. Thinking about forever can also feel overwhelming. 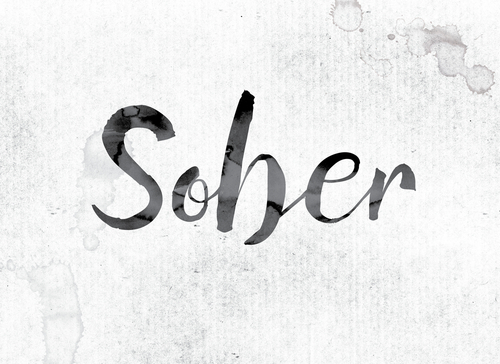 You really can stay sober for the rest of your life, but you may find it helpful not to think about forever. Instead, many recovering people find it easier to take things one day at a time. In order to achieve years of sobriety, you have to start with one day. Every person in recovery started with one day, one minute, and one second. First of all, you have little control over the future. You can make plans and work towards them, but you can’t predict everything. This is where mindfulness comes in. Mindfulness principles theorize that if you stay in the present moment, you can decrease anxiety and stress reactions. Try thinking about your recovery as a daily process instead of a lifelong one. You may find recovery easier to tackle if you’re taking things one day at a time. 12 step programs encourage members to take sobriety one day at a time. This concept is a powerful part of their recovery program. Consider this, the 12 step meeting that you went to last week, won’t keep you sober today. Each day is a new challenge to tackle, and everyday offers an opportunity for sobriety. Some people stress about making it through holidays, celebrations, and other special events. Again, it isn’t productive to worry about the future. In time, you will learn the skills you need to stay sober, no matter what the occasion may be. Recovery programs and 12 step meetings give you a daily reprieve. Today is all you have. You have to choose to do the things that keep you sober on a daily basis. You have to keep going to meetings, call your sponsor or mentor, avoid reminders of the past, and stay sober. This will get easier in time. In fact, recovery isn’t boring at all. As you think about recovery, try to stay encouraged. You don’t have to think about staying sober forever, just worry about today. Hired Power understands addiction treatment. Hired Power uses innovative approaches to helping you get and stay sober. If you want to learn more about the power of relationships in recovery, call Hired Power today at 714-559-3919. Hired Power is the expert you need to help you take your first steps toward recovery.